A father I last saw when I was a little girl... That's who Hope's Peak Academy's headmaster is. Don't worry. I will... definitely find him. Now that I think about it, it was just natural. My goal coming into this school was to meet the headmaster, after all. 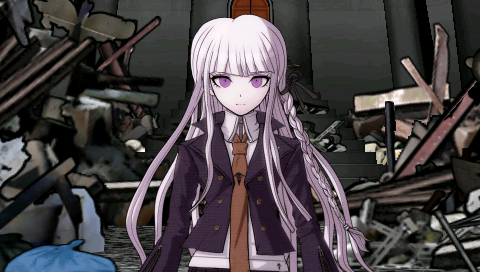 But, let me say one thing to make things perfectly clear, Naegi-kun. I am not saying the headmaster isn't the mastermind because I am trying to protect my family. It's simply what I deduced after sneaking into the his office. Did you find something in there...? When I sneaked in there, all the shelves and the drawers in the room were messed up, their contents thrown all around. In other words, it seemed like a person who didn't know the room very well had been going through it. And that person... is the mastermind..? I decided to use this key and go to the dormitory's second floor. Because there was one other thing I found in the headmaster's office. They're floor plans for the entire school. I stole them along with the key and Mukuro Ikusaba's profile. According to these plans, the second floor of the dormitory is where the school staff's private rooms are. The headmaster's private room is also over there. I remembered what my goal was... I remembered that it was to meet the owner of the room. 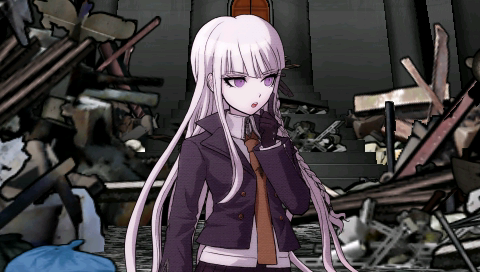 So that's what that was all about... You wanted to go to the second floor in order to investigate the headmaster's room. 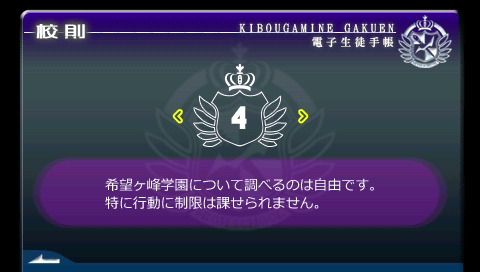 By the way... what kind of place is the dormitory's second floor...? The moment I stepped into that place... I couldn't help but think that what happened in this school is far more terrifying then we ever imagined. You need to see it with your own eyes. I'm sure you'll get a chance soon. 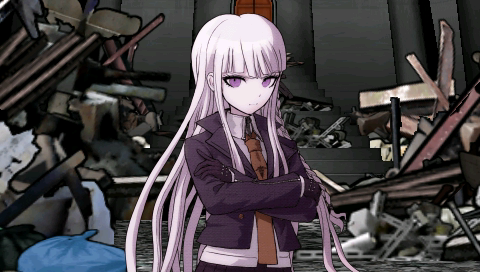 So, you didn't notice that Mukuro Ikusaba was killed? 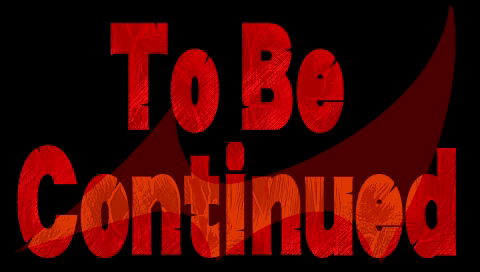 First, let me make it perfectly clear. I didn't kill her. I don't believe you did either, of course. Except for you and me, everyone has an alibi... So, who could have killed her...? I have no doubt the mastermind has something to do with it. That school trial was, from the very beginning, his attempt to kill me. He wanted to kill you...? And he used the school trial to do that. He used... the school trial...? He had a reason he couldn't just kill me directly. Are you talking about... the school rules? "4. 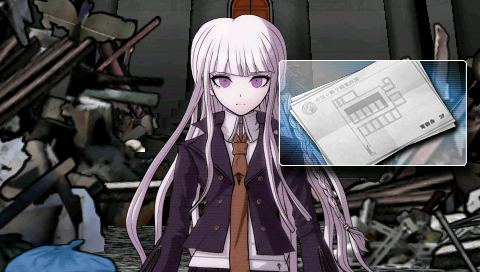 You may investigate the school as you please. There are no special restrictions on your actions." 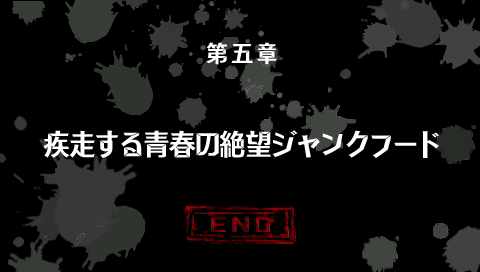 There is one more thing I have to say about Mukuro Ikusaba's murder. 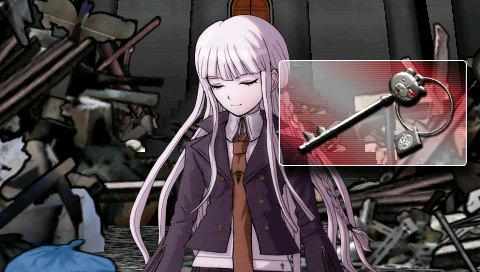 It would have been you, Naegi-kun...! I... would have been killed...? You probably have at least some memory of what happened, don't you? I can hear the footsteps of the angel of death. ...It was the same back then. I saw a figure in white crossing the corridor. I followed the figure quietly. Then, I saw it entering your room. That's probably when what you saw when you woke up happened. I came right in to stop it, of course. But, that wasn't where it ended. That same masked person was suddenly found dead. ...They were all the mastermind's doing. 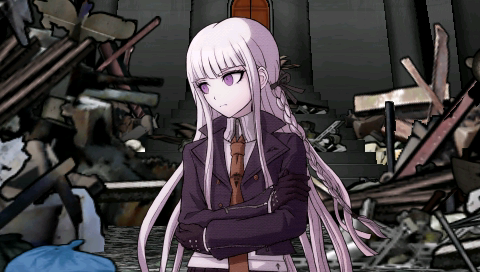 He wanted to stop me from interfering again by getting rid of me at the school trial. 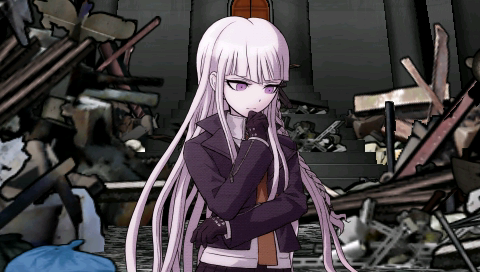 ...Does that mean the culprit who killed Mukuro Ikusaba was the mastermind himself? ...I don't have any proof yet, but that's what I think. ...Wait a minute. Doesn't that contradict what you said before? I mean, he wanted to kill you at the school trial because he couldn't do it directly, didn't he...? That's right. It is a contradiction. ...It's all one big contradiction. So... what does it all mean? It means who's being cornered right now is the mastermind himself. 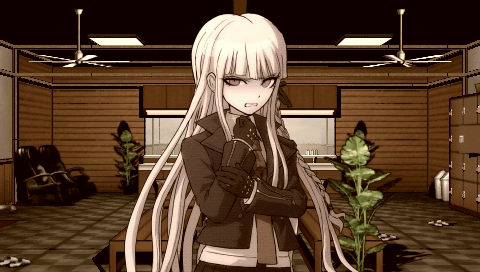 We'll learn the true identity of the second "Super High-school Level Despair". 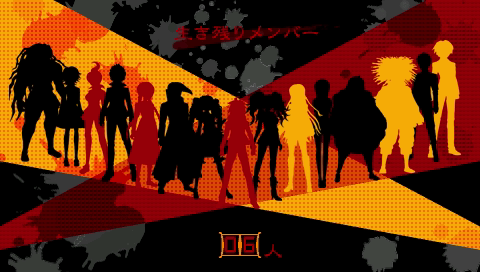 The second... Super High-school Level Despair...? 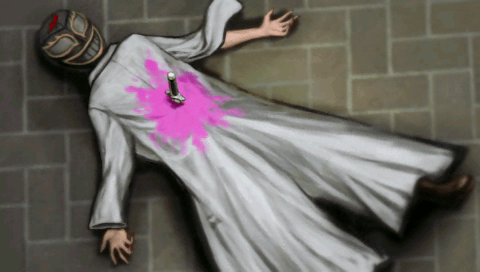 The dead Mukuro Ikusaba was "Super High-school Level Despair". There is no doubt in my mind about that. 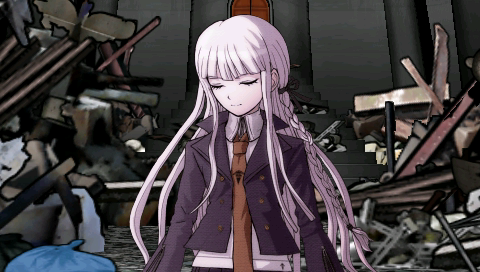 But... there wasn't just a single Super High-school Level Despair. There was... more than one...? An organization acting only for the sake of despair. They're the worst. The lowest of the low. ...Who are the source of all our troubles. 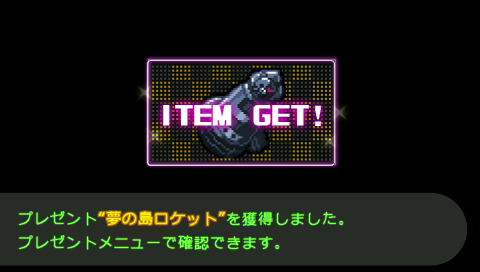 You got the present, "Dream Island Rocket"